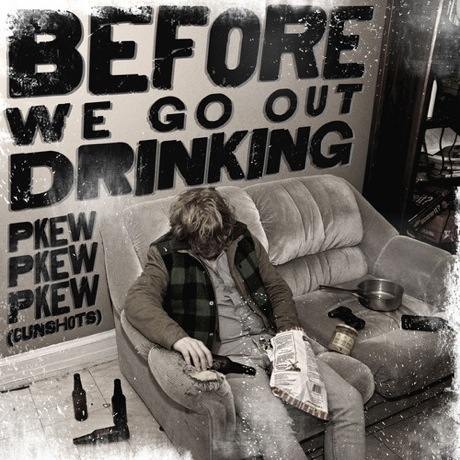 Pkew Pkew Pkew (gunshots) "Before We Go Out Drinking"
Toronto punks Pkew Pkew Pkew (gunshots) released their album Glory Days just a few months ago through Art Drug Records, but they've already unveiled another new song. The band have shared the stand-alone single "Before We Go Out Drinking" to celebrate their new management deal with Pipe & Hat and their impending Ontario tour with the Pack A.D. It's a rowdy punk anthem and focuses on how pre-drinking is the best part of the night — something we tend to agree with. Scroll past the tour schedule to listen. * with the Pack A.D.